Ten Thousand Trees: Largest Spanish fir - "Pinsapo de la escalereta"
Pinsapo de la escalereta (2), originally uploaded by Por los caminos de Málaga (2). Not too far off the highway that leads form the "Costa del Sol" up to the old city of Ronda there is a large old Spanish fir (Abies pinsapo) that is called the "Pinsapo de la Escalereta". 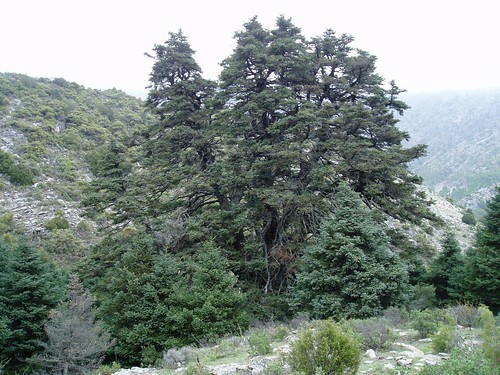 It is the largest of this rare fir species. The mountain range where the last remaining virgin forest can be found is called the "Sierra de las nieves" (Snow mountains). 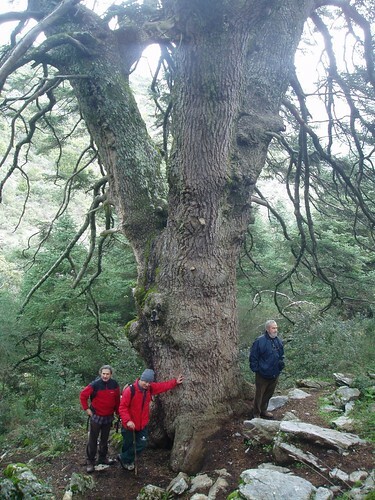 The area has been declared a biosphere reserve to protect the Spanish fir and its ecosystem. Pinsapo-de-la-Escalereta, originally uploaded by Por los caminos de Málaga (2).